About 32 percent of non-small cell lung cancer patients who received chemoradiation therapy were still alive five years following treatment, a survival rate double that of previous estimates, according to results from a long-term clinical trial. Further, a small second clinical trial of people with lung cancer that had already spread to other parts of the body showed that radiation therapy added to chemo dramatically slowed the time until these cancers progressed further. The two studies show that radiation therapy and chemotherapy work well together, and that radiation also might help patients who are undergoing newer forms of cancer treatment like targeted therapy and immunotherapy, said Dr. Benjamin Movsas, a radiation oncologist with the Henry Ford Hospital in Detroit. "Instead of becoming less important, radiation therapy is becoming more important," Movsas said. Both studies were presented Sunday at the American Society of Radiation Oncology's annual meeting, in San Diego. Findings presented at meetings are typically viewed as preliminary until they've been published in a peer-reviewed journal. Chemotherapy's advantage is that it can attack cancer anywhere in the body, even cancer cells doctors haven't found, Movsas said. "It goes around the entire body through the bloodstream," he said. "If there are residual cancer cells that may have spread from the initial site, this is a way to address those." But chemotherapy often can't kill off a solid tumor completely. Focused radiation can step in and destroy those clumps of cancer cells, acting in conjunction with chemo, explained Movsas, who was not involved with the studies. The first presentation involved long-term results from a major chemoradiation therapy trial that started in 2006. The study involved more than 500 patients treated at 185 hospitals in the United States and Canada. They all had inoperable stage 3 lung cancer that had not spread to other parts of the body. The researchers reported that the overall five-year survival rate from this combination therapy was 32 percent, more than twice as high as previous estimates. "That's the new benchmark for stage 3 lung cancer. About one-third of patients are alive at five years," said principal investigator Dr. Jeffrey Bradley. He's director of the S.L. King Center for Proton Therapy at the Washington University School of Medicine in St. Louis. "A third of patients are alive at five years -- that's as close to cure as you can get," Movsas said. "For me, that's a real step forward and a very, very promising result." The second study looked into whether radiation therapy could be added to chemo to control cancer that had spread into other parts of the body such as the brain, liver, bone and pancreas. 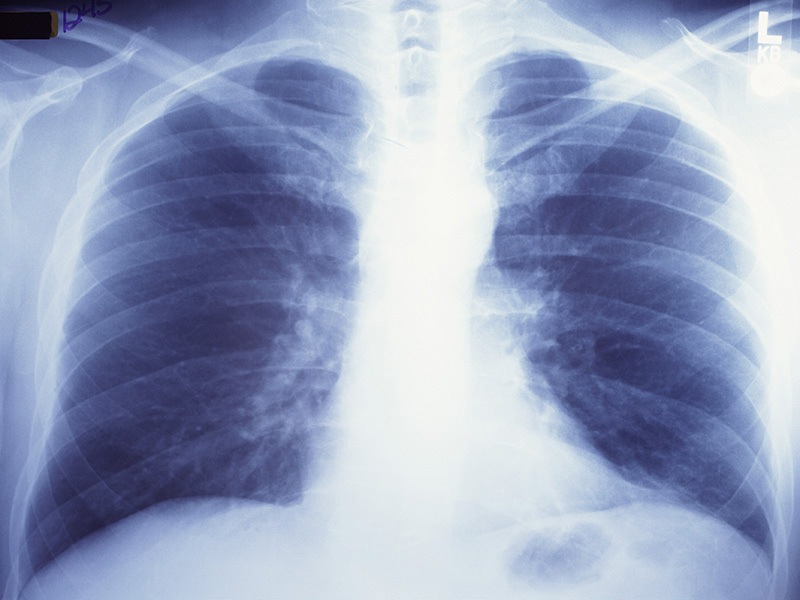 For this clinical trial, researchers used radiation therapy on 14 patients whose lung cancer had spread to six or fewer sites elsewhere in the body. Beam radiation targeted both the main tumor and the new cancer sites. Patients were recruited between April 2014 and July 2016. Thirty-one cancerous lesions were treated with radiation in the 14 patients. People who received chemoradiation experienced a remission nearly triple that of a 15-person control group who got just chemotherapy -- 9.7 months compared with 3.5 months, said lead researcher Dr. Puneeth Iyengar. Only four of those who received radiation therapy have had renewed progression of their cancer, compared with 10 out of 15 patients in the chemo-only group, Iyengar said. He's an assistant professor of radiation oncology at the University of Texas Southwestern Medical Center in Dallas. The chemoradiation patients didn't have any cancer recurrences (failures) "within the areas that were irradiated, whereas a multitude of patients [in the control group] failed in areas that would have gotten radiation had they been in that arm of the trial," Iyengar said. "Clearly, local [radiation] treatment improved the control of the disease and also delayed the time to progression," Iyengar concluded. Movsas called these results a "paradigm shift" in the way radiation therapy can help treat patients with advanced lung cancer. "This is really changing the way we are thinking about patients with lung cancer that has spread to certain areas," Movsas said. In both clinical trials, chemoradiation therapy had side effects similar to those produced by chemotherapy alone, Movsas added. "Overall, it was pretty well-tolerated," he said.